It quickly became clear early on Friday morning across India that Narendra Modi and his Hindu nationalist Bharatiya Janata Party (the BJP, भारतीय जनता पार्टी) were headed for a historical victory in India’s national elections, which took place across nine separate phases between April 7 and May 12. But to really understand the impact of the victory, it’s important to delve into the results on a state-by-state level. Where did the BJP massively exceed expectations? Where did it fall short? 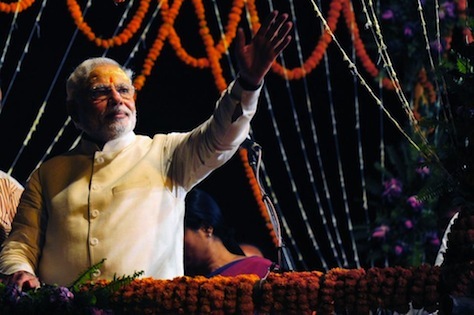 Where did regional leaders keep the ‘Modi wave’ at bay? Where did regional leaders fail? Each state tells us something about the future shape of India’s new political reality in New Delhi and about the future of state governance, which, after all, represents the most important level of government for most Indians, even in the Modi era. The BJP, together with its allies in the National Democratic Alliance (NDA) won 336 seats in the Lok Sabha (लोक सभा), the House of the People, the lower house of India’s parliament. It’s the largest mandate that any Indian party/coalition has won since 1984. The ruling Indian National Congress (Congress, भारतीय राष्ट्रीय कांग्रेस) and its allies in the United Progressive Alliance (UPA) won just 58 seats. Not only did the Congress suffer the worst defeat of its history under the leadership of Rahul Gandhi, the great-grandson of India’s first post-independence prime minister Jawaharlal Nehru, it’s the first time that a non-Congress party has won an absolute majority in the Lok Sabha. 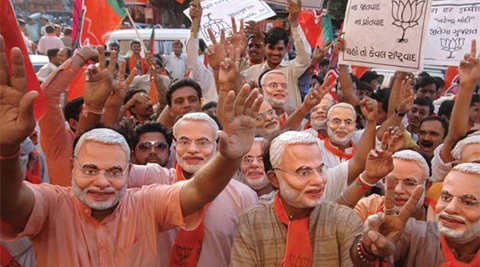 Today marks the final phase of India’s election marathon. 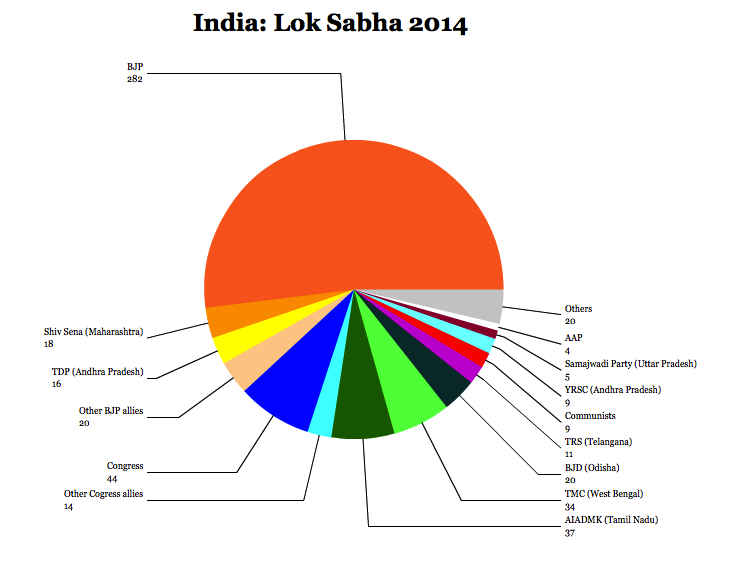 Voters in 41 constituencies will elect their members of the Lok Sabha (लोक सभा), the 545-seat lower house of the Indian parliament. After today’s voting, exit polls should give Indians (and the rest of us) the first indications of what the results might be, though they have been vastly wrong in the past. The official final results will be announced on Friday, May 16. In particular, it’s the biggest day of voting in two of India’s most populous states. Uttar Pradesh will elect 18 of its 80 seats today, and West Bengal will elect 17 of its 42 seats. In addition, Bihar will elect its final six legislators. 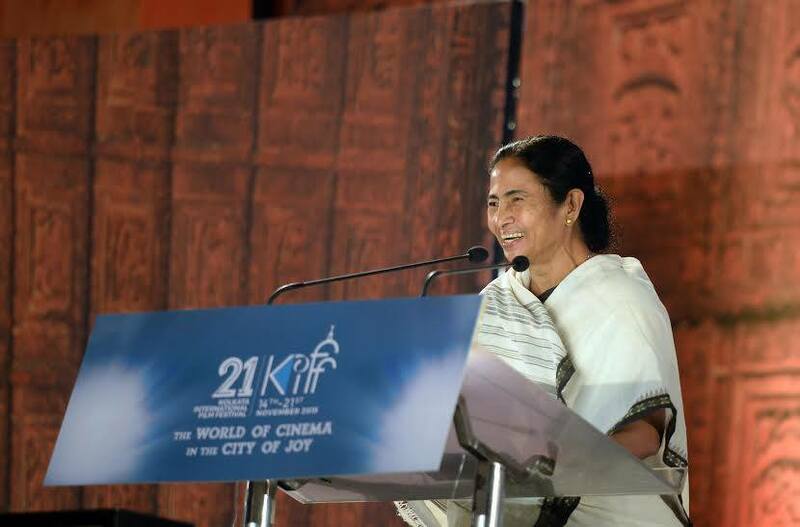 In West Bengal, a state of 91 million Indians, chief minister Mamata Banerjee’s local All India Trinamool Congess (TMC, সর্বভারতীয় তৃণমূল কংগ্রেস) is set to win the biggest share of the vote after sweeping to power in the state’s 2011 elections and, in so doing, sweeping a 34-year communist government out of office in West Bengal. Nonetheless, the Communist Party of India (Marxist) (CP-I(M)) and the Left Front (বাম ফ্রন্ট) are expected to win a large share of the vote as well. That leaves India’s two national parties, the governing, secular Indian National Congress (Congress, भारतीय राष्ट्रीय कांग्रेस) of Rahul Gandhi and outgoing prime minister Manmohan Singh, and the conservative, Hindu nationalist Bharatiya Janata Party (the BJP, भारतीय जनता पार्टी) of chief minister Narendra Modi, both unlikely to make many gains in West Bengal. Both Uttar Pradesh and Bihar will provide more fertile territory, especially for the BJP, which needs to win most of the 122 seats in those two states to have a chance at winning a majority government in the Lok Sabha. In what might be the most watched constituency in India, Modi is battling Arvind Kejriwal, the former chief minister of Delhi, in the city of Varanasi (formerly Benares). Lying on the shores of the Ganges River, the city is known as India’s holiest, and it’s in the heart of Uttar Pradesh. RELATED: Did Kejriwal err in resigning position as Delhi’s chief minister? Kejriwal emerged as one of the most popular politicians in the country after his showing in the December 2013 elections in the National Capital territory. His newly formed Aam Aadmi Party (AAP, आम आदमी की पार्टी, Common Man Party) took power for 49 days, instituting popular policies from water and power subsidies to hotlines for reporting bribery. Kejriwal resigned, however, in February, when the territorial legislature refused to enact his jan lokpal bill that would have instituted mechanisms for reducing corruption. Since leaving office, Kejriwal has led a national campaign for the AAP, hoping that he can recreate the same electoral magic nationally that he did six months ago. But there’s a general sense that Kejriwal made a mistake by resigning, and that his national campaign attempts to do too much in too little time. There’s a chance that it will backfire so much that the AAP might not even win a majority of Delhi’s seats to the Lok Sabha. 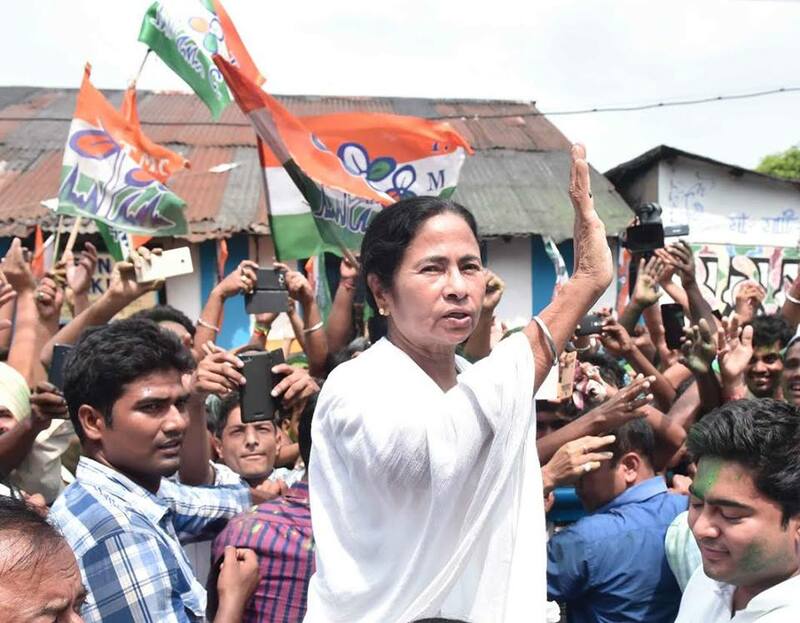 In today’s final phase of India’s six-week national elections, attention has increasingly shifted to West Bengal, which will elect the final 17 of its 42 seats in the lower house of the Indian parliament, the Lok Sabha (लोक सभा). But even as he tries to sweep the rest of the country, Gujarat chief minister Narendra Modi, the leader of the conservative, Hindu nationalist Bharatiya Janata Party (the BJP, भारतीय जनता पार्टी) will find precious few votes in West Bengal. As far as that goes, neither will his national rival, the secular Indian National Congress (Congress, भारतीय राष्ट्रीय कांग्रेस), which has governed India for the past decade under the leadership of party president Sonia Gandhi and prime minister Manmohan Singh. That’s because, like so many of India’s states these days, West Bengalese politics is dominated by entirely regional forces. Between 1977 and 2011, West Bengal featured the longest consecutive communist government in elective history — under the long-serving chief minister Joyti Basu, from 1977 to 2000, and his successor Buddhadeb Bhattacharya, from 2000 to 2011. For 34 years, the Communist Party of India (Marxist) (CPI(M) ruled West Bengal as the largest party of the Left Front (বাম ফ্রন্ট) coalition. That all changed with the 2011 state assembly elections, when Mamata Banerjee (pictured above), known simply as ‘didi‘ (‘sister’ in Bengali), swept to power in a lopsided victory. She and her allies now control 227 of the 294 sets in the legislative assembly. Banerjee, who began her career in the Congress Party, formed the All India Trinamool Congess (TMC, সর্বভারতীয় তৃণমূল কংগ্রেস) in 1997. Banerjee quickly joined the National Democratic Alliance (NDA) and became railways minister in the BJP-led government of Atal Bihari Vajpayee. She re-aligned herself with the Congress Party in 2009 as part of the United Progressive Alliance (UPA), and once again served as railways minister, this time under Singh. She returned to West Bengal for the 2011 state campaign, leading the TMC to its overwhelming victory. As chief minister, Banerjee has emerged as one of the most powerful players in Indian politics, and while she may not have lived up to high expectations that followed her victory three years ago, she’s generally seen as a relatively honest public servant and she’s worked to improve health and education programs throughout West Bengal, traditionally one of India’s poorer states on a per-capita basis. It’s difficult to place Banerjee politically. 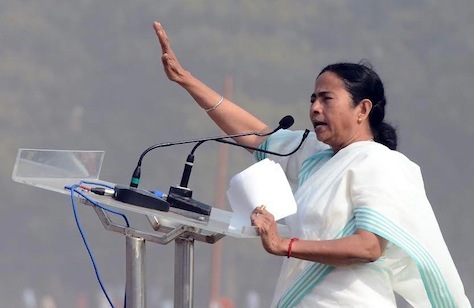 At the state political level, she and the TMC are ideologically to the right of the Left Front, naturally, and at the national level, Banerjee has allied with both the major parties. It’s perhaps most correct to say that Banerjee is a populist, veering left or right as convenient for her political future or for West Bengal’s relationship vis-à-vis the central government. But an alliance with the BJP seems unlikely as Modi and Banerjee has increasingly traded harsh barbs on the campaign trail. Much of the explanation lies at the intersection of religion and politics. Modi is trying to maximize Hindu support in West Bengal, but also in the voter-rich states of Uttar Pradesh, Bihar and elsewhere in the ‘Hindi belt.’ Banerjee, for her part, is increasingly trying to unite Muslim voters in West Bengal, which comprise over one-quarter of West Bengal’s 91 million residents. Modi has attacked the West Bengal state government for its handling of the Saradha Group financial scam that defrauded 1.7 million Indians, mostly in West Bengal, of up to $6 billion. Earlier this month, India’s supreme court referred the current investigations to India’s Central Bureau of Investigation amid signs of political interference. 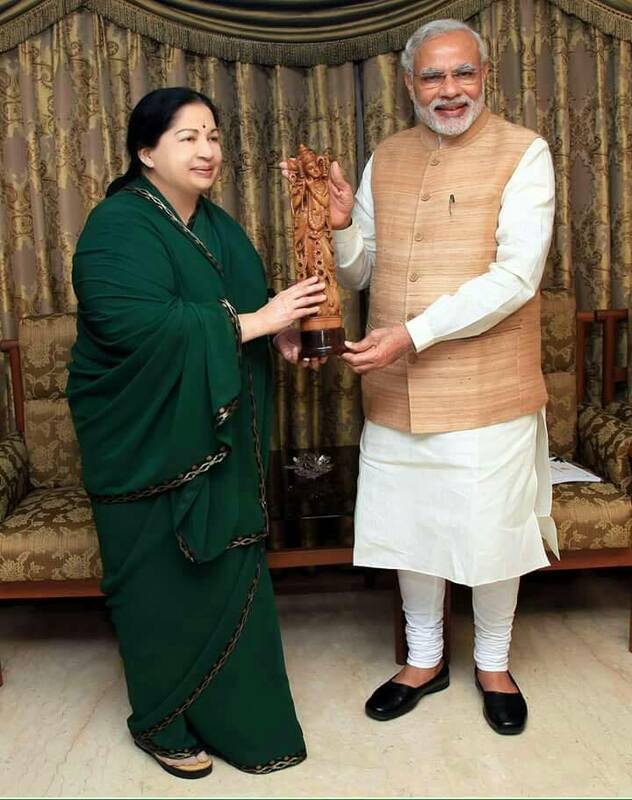 Modi has also taken a hard stand against Bangladeshi illegal immigrants. Last week, Banerjee pushed back, calling Modi a ‘donkey,’ and chastising him as the ‘butcher of Gujarat’ for his alleged role in deadly riots there in 2002.